With Inbox Preview, we've packed the top desktop, mobile, and webmail clients right into WordFly, so you can look at your emails without ever leaving your browser. Just send one test, then flip through the previews. 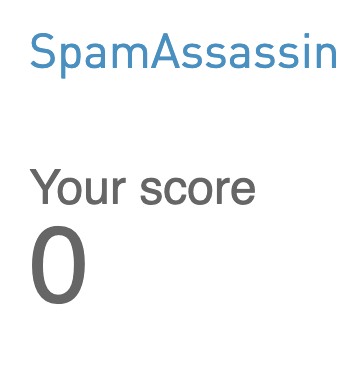 We'll even scan your email with SpamAssassin so you can see your potential spam rating. A limited number of free previews is included each month with WordFly. Each email environment you select (e.g., Gmail in Firefox, Outlook 2013, or SpamAssassin) counts as one preview. When you send your tests, you’ll see how many credits you have remaining on your account for that month. You can choose to upgrade to unlimited previews. The Basic Plan comes with every WordFly account. We’ll give you 50 free previews each month with WordFly. When you send your tests, you’ll see how many credits you have remaining on your account for that month. When you've reached your limit for the month, you can't send more tests. The Unlimited Plan is available to every account, you can choose to upgrade to unlimited previews anytime. Go to Account > Inbox Previews and click Upgrade Now to select the unlimited plan. The plan is effective immediately, and you will be billed each month unless you decide to return to the basic plan. 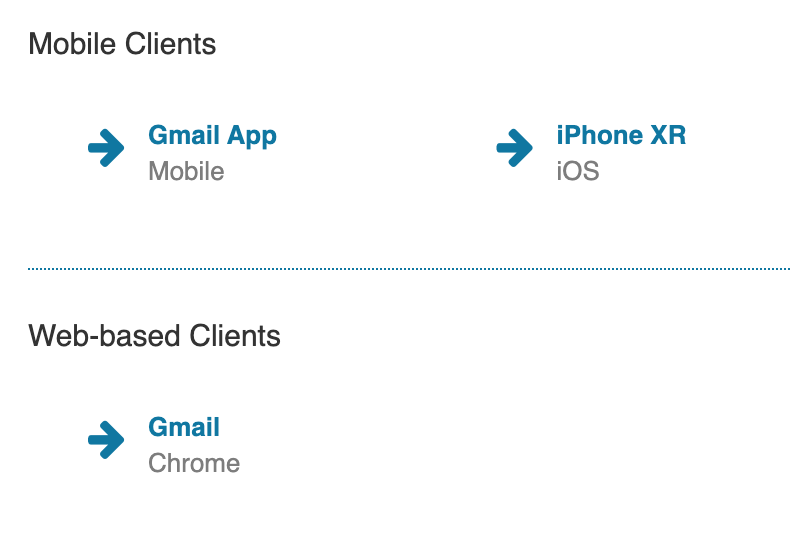 See how your email looks in 30+ email environments like Gmail, Yahoo!, and Outlook. We'll also scan your email for content that might be flagged as spam. Each email client you select (e.g., Outlook 2013, Gmail in Firefox, or Spam Assassin) counts as one preview. 1. 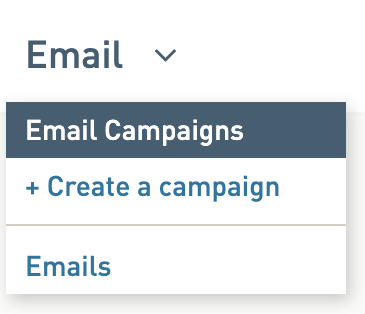 Go to Emails > Email Campaigns. 2. Open your In Progress email campaign. 3. Click on the Testing tab of the email campaign. 4. Under the Inbox Preview section, select Send a new test. 5. 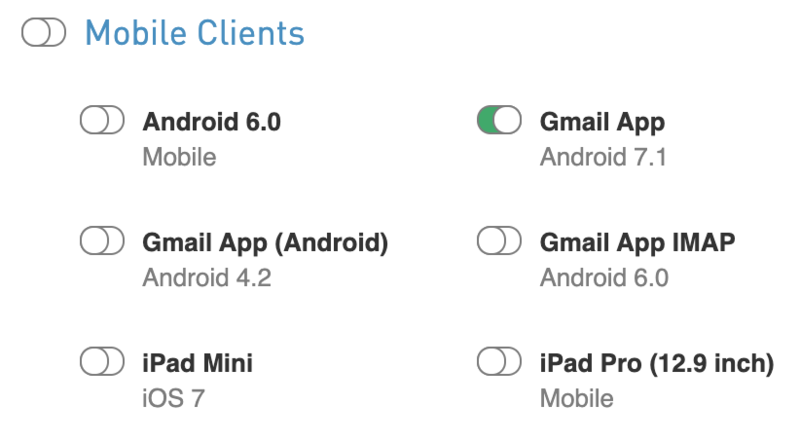 Select the tests you wish to view by adjusting the toggles for email clients. 6. Scroll down to the bottom of the page and click Start test. The page will process the tests and within a few minutes you should see your tests come back as a preview. 7. Preview your tests by clicking on the blue links or using the arrow. Click on the Testing tab of the email campaign to return to the Testing section. You have the option to send a SpamAssassin test in WordFly's Inbox Preview tool. In your email campaign, select the Testing tab, scroll down to the Inbox Preview section and select Send a new test. On the selection screen, at the bottom, check the box for SpamAssassin and then click the button Start Test. The test will run and return a score. Scores between 0-3 are best and mean your email will have great deliverability. Any score above 6.3 will likely trigger a spam block at the receiving ISP. It is possible to receive negative scores! Any score below 0 is perfectly acceptable. SpamAssassin applies some rules and filters to your email message to determine if it is spam or not. It is mainly looking at the body or header fields of the message to make a decision. The content of the email is not reviewed. Header content includes details about your DKIM record, IP address, and the WordFly SPF. These elements are all part of your WordFly infrastructure that we manage for you. You might be testing an email you have concerns about. If the score results are not indicating an issue, that is good! Overall your message should have good deliverability. SpamAssassin is a good general test to start and then run your own tests to various ISP accounts to see how your email gets through. ISPs all filter differently. Paid for email service such as Comcast always filter more vigorously. Gmail is great for content filter testing. Read more about how to stay out of the spam folder here.